Years of new and rising tension between Norway and Poland seemed to reach the boiling point this week, after Norway expelled Poland’s consul and Poland responded by ousting one of Norway’s diplomats. It’s the latest trouble to emerge between allies within the European Economic Association (EEA), the EU and NATO. Norway and Poland have been in conflict for years over matters relating to both Norway’s child protection agency Barnevernet and distribution of the billions of kroner in foreign aid that Norway, along with other EEA members Iceland and Liechtenstein, donates to Poland under the EEA’s trade deal with the EU. The Polish diplomat now declared persona non grata in Norway, Consul Slawomir Kowalski, has appeared several times in Norwegian media in connection with cases involving Barnevernet. Kowalski reportedly has actively assisted Polish families who have come in conflict themselves with Barnevernet over how they care for or discipline their children. It’s illegal in Norway, for example, to hit, spank or otherwise physically punish children, and that’s often led to conflicts with foreign families living in Norway who come from countries where physically punishing children is deemed acceptable. Kristin Enstad, acting communications director Norway’s foreign ministry, insists, however, that its expulsion of the Polish diplomat was entirely based on his “personal behaviour” over “several years.” Enstad told news bureau NTB and state broadcaster NRK Tuesday morning that Norway’s foreign ministry has received “repeated complaints” about the consul over several years. The complaints “involve threatening and occasionally violent behavior towards public servants, and that he has hindered them in their work,” Enstad told NRK Tuesday morning. NTB reported that Kowalski has also been reported to the police in Norway because of his behaviour, and allegedly has refused to comply with restraining orders issued by Norwegian police. Poland’s foreign minister Jacek Czaputowicz, however, declined to immediately recall him when asked by Norwegian officials to do so in January, and said the consul would remain at his post through June. 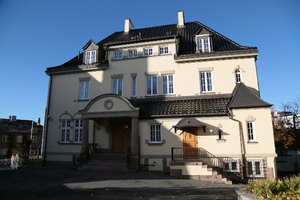 Enstad the ministry in Oslo thus “deemed it necessary to declare him unwanted as a diplomat in Norway,” which amounts to expulsion. Poland responded by quickly expelling a Norwegian diplomat who was not immediately identified but whom Enstad claimed had never been a target of complaints. “It’s disappointing that Poland chooses this type of reciprocation in this case,” Enstad wrote in an email to NRK. This week’s events have brought international attention to the diplomatic conflict that’s been brewing over the years between Norway and Poland. 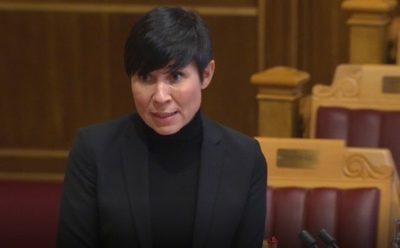 In addition to the disputes over child care and protection, Norway’s concerns about political developments in Poland delayed disbursement of the financial aid it extends to Poland in partnership with Iceland and Liechtenstein through the EEA. As the EEA’s biggest partner, Norway provides fully 98 percent of the EUR 809.3 million in EEA funding earmarked to Poland alone between 2014 and 2021. The EEA countries provide a total of EUR 2.8 billion to 15 EU countries deemed as needing it in return for receiving full market access to the EU’s inner market. Norway was especially concerned over how the conservative and increasingly authoritarian government in Poland wanted to control use of the EUR 809.3 million itself, while Norway, Iceland and Liechtenstein wanted the money to be allocated to independent organizations that in turn would channel the money to civilian society. That conflict, which also involved EU concerns over Poland’s judicial system at the time, was eventually resolved and more development funds were handed over in December 2017 after what a Norwegian official called “demanding” negotiations. A similar conflict with Hungary continues, with news bureau NTB reporting that Norway and its partners continue to withhold most of their EUR 153.3 million in aid to Hungary for the same reasons Poland’s was withheld. Norway’s foreign ministry said funding remains suspended, with the exception of money given directly to civilians organizations and climate initiatives. Concerns regarding Hungary rose again on Tuesday because of the diplomatic expulsions, but the ministry wouldn’t immediately comment on questions about what consequences the expulsions will have on relations between Norway and Poland. Ties between the two countries have been historially close, with Norway strongly supporting Poland’s break from the Soviet Union and its development since. Polish citizens make up the largest single immigrant group in Poland, the two countries are NATO allies and thousands of workers from Poland have resided temporarily in Norway for decades. Poland is also a popular tourist destination for Norwegians and market for Norwegian exports including power and seafood. It’s only been since Poland’s national conservative party PiS gained government control that its relations have become troubled with both Norway, the EU and other individual EU countries. Poland has especially clashed with the EU over immigration, the rule of law and not least its court system, which prompted the European Court of Justice to demand that President Andrzej Duda reinstate independent Supreme Court judges who’d been forced to retire. Both domestic and international protests finally prompted Duda to back down in December, suspend parts of the government’s controversial law in the face of EU sanctions, and adopt a more conciliatory tone with the EU. Norway hosted two official and state visits for Duda, who was elected in 2015, and Poland’s prime minister from PiS in 2016, as both countries strove to maintain good relations. On Thursday night, King Harald and Queen Sonja will be hosting their annual dinner for the entire diplomatic corps in Oslo, with Foreign Minister Ine Eriksen Søreide in attendance. Søreide will be flying off to Munich on Friday to attend the annual Munich Security Conference, where both Poland and Hungary are to be represented as well, while Defense Minister Frank Bakke-Jensen was expected to meet his Polish counterpart at an annual NATO meeting in Brussels just before they all move on to Munich.